Careers in private equity may differ enormously depending on the focus and the types of private equity firms. The firms are usually made up of small groups of people with a little movement of experienced staff between companies or out of the sector. As they recruit only occasionally most firms would rather not hire than recruit the wrong person. It means that you’ll need to have both the competencies and the personality to fit within any particular team. However the private equity industry offers an environment to exercise many of your skills developed in business school and/or work experience. It also offers fast-paced entrepreneurial working conditions with a significant financial reward. If you have good investment acumen and like to work in an entrepreneurial setting then careers in private equity are one of the best choices. Before discussing careers in private equity further, let’s find out the private equity industry structure. Private equity firms focus on investing money into privately owned companies. There are at least 2 general groups of private equity firms based on the phase of investments and ways of conducting their business. 1. Leveraged Buyout (LBO). Leverage buyout or buyout firms are companies which invest equity in mature but under performing businesses with a good product and stable cash flows. They often incorporate debt — raised from the public and/or private market — into the structure of the investment to enhance their equity returns. The focus of a buyout firm is getting the best deal structure and taking a control in the company. By developing several scenarios of projected cash flows a buyout firm want to make sure it’s able to make interest payments on debt. The LBO investor creates value by improving the company’s internal process and structure. At the beginning it seeks to maximize the company’s cash flow for interest payments. Later, it exits from the company through Initial Public Offering (IPO) or sale to a strategic investor. 2. Venture Capital (VC). 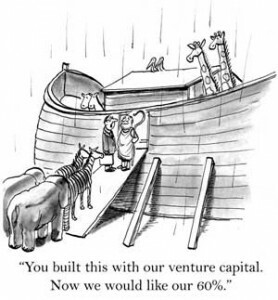 Venture capital fund is an investor who invests in early stage businesses to support their growth. Depending on the types of start-up businesses a VC may invest in first or second round financing. Since an early stage company’s cash flow is unpredictable a VC structures the equity investment as a preferred stock security. The focus of a venture capital firm understands the impact of products and technologies on markets on specific industries without taking a control in the business. The venture capital investor creates value by providing direct assistance to the management teams of its portfolio businesses. As with a LBO firm it exits its investment through an IPO or a sale to a strategic investor. What are Careers In Private Equity Like? Given the nature of buyout firms, they tend to hire junior and mid-level professionals than venture capital firms. To design the deal structure and perform due diligence a LBO firm leverage juniors professionals with investment banking or similar corporate finance backgrounds. If, during modeling out transactions, the LBO firm find out lacking a certain background they’ll hire management consultants, especially ones with strong strategy skills. They would look for strong financial skills when considering candidates. Though many times they may seek the finance and accounting skills that their background have lacked. An early stage venture capital is a small firm with most of its staff at the partner level. They don’t hire junior level and mid-level professionals. Their focus is hiring professionals with operations and strategy experience in a given vertical industry. On the other spectrum, a mid-to-late stage venture capital is focusing their investment in later financing rounds to companies that are evolving past the start-up phase. Although the firm invests like early stage of VC firms, they do hire more junior and mid-level investment professional. So if you’re a career changer with an MBA degree or finance backgrounds and interested in a private equity career, the above overview may give a general idea of careers in private equity.